PRICE REDUCTION !!! 4-star hotel (renovation 2014) Usable area: 1905 m2 Layout: • 3 floors • 3 cellars • 1 carport Rooms / beds: • 23 rooms • 60 beds • 25 extra beds Restaurant: 85 seats Spa: • Finnish sauna • Massage room • Infrared sauna • Steam bath • Relaxation room • Wellness showers Reachability: • Motorway • 2 train stations in Bad Mitterndorf • 200 m distance to the Tauplitzalm Alpine Road - part of the Tauplitz ski area Key facts - location factors Located in the heart of the province Styria, in the tourist region of Bad Mitterndorf. A varied landscape - known as a spa town amidst the mountains and lakes. 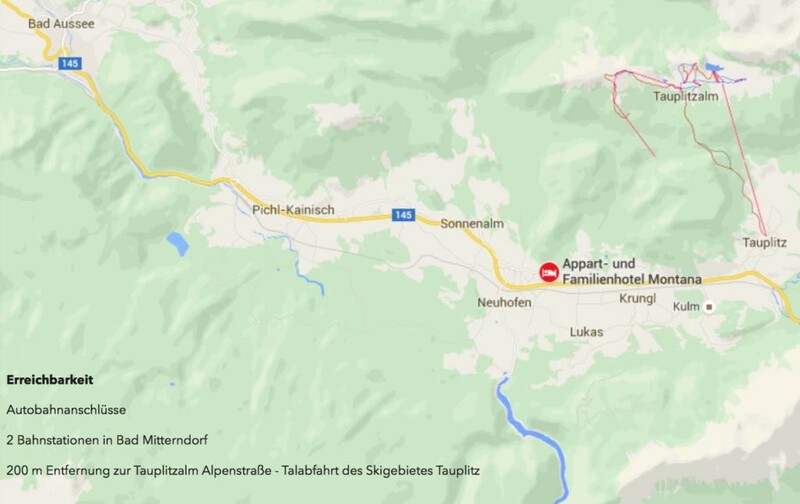 Surrounded by Altaussee, Piehl Kainisch, Bad Aussee, Tauplitz, Grundlsee. The place offers many possibilities to do sports, to simply relax, to visit events and to enjoy the excellent gastronomy. In the spring the daffodils bloom, in autumn the colors of the forests light up. Summer-drenched meadows, which are close to bathing lakes with drinking water quality, stand in a contrast to the snow-covered landscape in winter. Bad Mitterndorf region Inhabitants: 3100 people Total area: 113 km2 Altitude of the village: 809 m Wide international guest audience Great potential due to the increasing demand for clean and safe holiday experiences and relaxed recreational activities in an intact natural landscape. Excursions: The observation deck of Mount Tressenstein, Altaussee salt marshes, various museums, bathing lakes, mountain railways Tauplitz, Tauplitzalm Alpine motor road, Loser scenic road. Tourism highlights In the middle of a fantastic mountain background, the spa center Grimming Therme is directly connected with a club hotel Aldiana Salzkammergut. 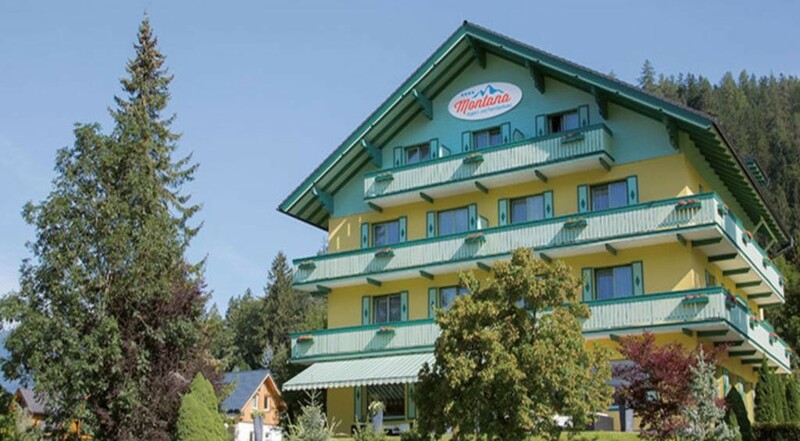 Bad Mitterndorf was awarded as the first place in Austria with 3 healing factors: • Spa, • Healing mud and • Healthy climate We are happy to present you this 4 star hotel! Out of consideration for the current operation, we need in any case your complete contact details for further information.